Jerry Weiss has had numerous one-man exhibitions in museums and galleries, and his paintings are represented in public, private and corporate collections. 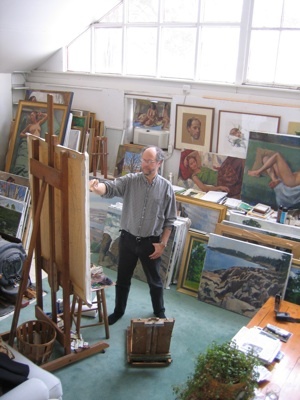 Jerry teaches figure drawing and painting year-round at the Art Students League of New York, as well as intensive workshops there and in other venues around the country. He has taught and lectured at art schools and art associations in Colorado, Connecticut, Florida, Maine, Massachusetts, New Mexico, New York, and Washington, and was an instructor at the Lyme Academy College of Fine Arts for fifteen years. Weiss has written features for The Drawing Magazine, and is a Contributing Editor for The Artist’s Magazine, for which he writes features and the ‘Master Class’ column.